Dynamic Discs has again disrupted the market for competitors. Mini basket size with permanent basket materials and construction. 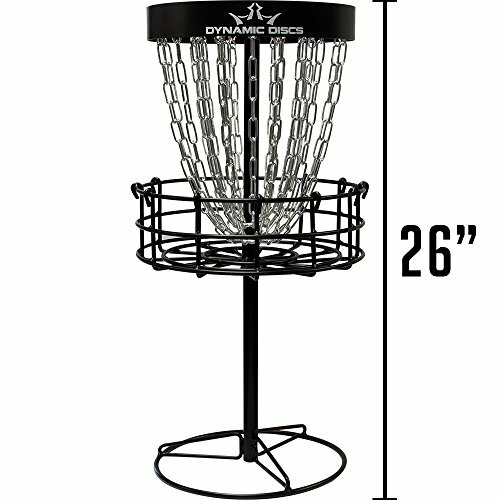 The Recruit Mini comes with the same signature angled spokes and color scheme/design as the full size Recruit basket. It even has 2 sets of chains. Weighing in at just over 11lbs, you will never be concerned as to whether or not this basket will get knocked over during use. Standing at 26 1/2 inches, it is compact enough to take anywhere. Get this basket and your options for setting up a course are only limited by your imagination.